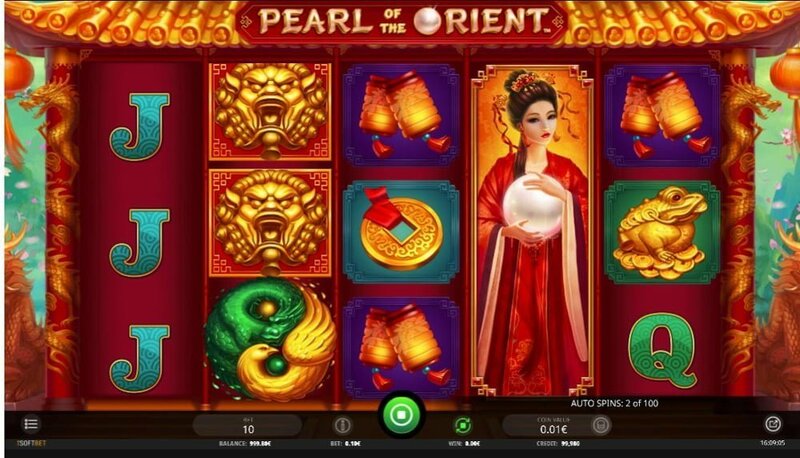 Pearl of the Orient is an Asian themed medium to high variance online slot from iSoftbet with 10 paylines, 5 reels, it pays a top jackpot (non-progressive) of 500 coins. 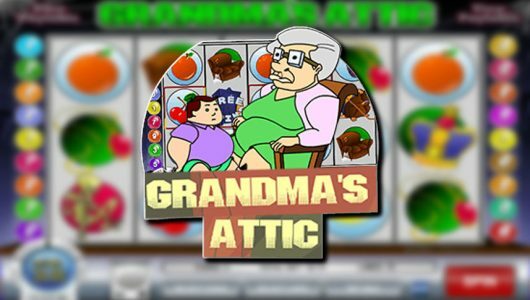 This is one of many Asian themed slot machines released of late, it seems like iGaming software providers love the theme. Which explains why they keep on releasing them month in and month out. 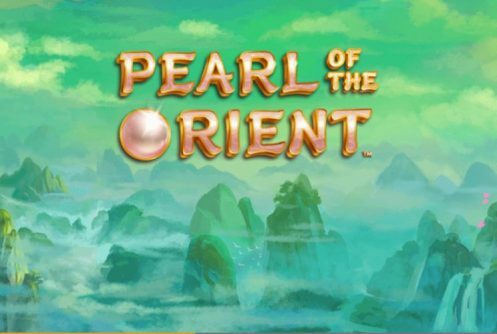 Pearl of the Orient boasts sharp and colourful visuals punctuated by a free spins feature that rewards you with 12 free spins along with expanding wilds. Players can spin the reels from £0.10 to £10 per spin on mobile devices and PCs. A red building serves as backdrop for the reels, symbols on them include cards from Jack to Ace, the green/yellow Yin and Yang scatter, beautiful Asian girl (wild), golden dragon, gold ingots, golden frogs and lanterns. The symbol to watch out for is the golden dragon, 5 of them scattered across the reels at the maximum wager (£10) pays 500 coins (50x your stake). In general base game wins are very good especially when three golden dragon faces appears with 2 expanding wilds. The RTP (theoretical return to player percentage) of Pearl of the Orient is 95.97%, as you can see the volatility is slightly higher than your run-of-the-mill iSoftBet slots. Three, four or five green/yellow Yin and Yang scatters triggers up to 12 free spins. The amount of free spins you receive is proportionate to the scatters. 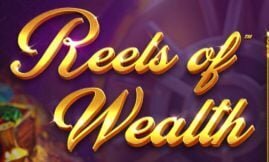 another positive feature about the game is that scatters pays are given too, trigger the free spins with 5 scatters you’ll pocket 50x your stake. The wild symbol pitches a lot during the free spins and it’s responsible for symbol upgrades. For instance, when the expanding wild appears it transforms the money wallet symbol into lanterns. Should the next wild appear all the lanterns become gold coins. The key to winning big is to upgrade the wilds into golden dragon faces. There are so many Asian themed slots in the market right know players are really spoiled for choice. 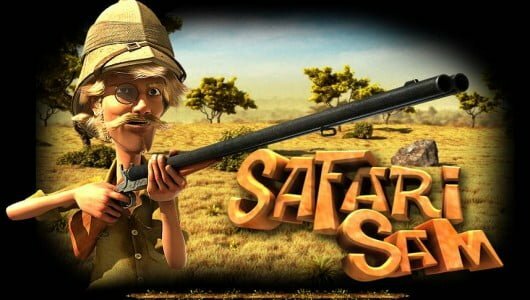 The game really comes to life during the free spins especially if you hit 5 scatters (50x your stake) which gives you 12 free spins and a potential win of 500 coins on each free spin. In terms of bonus rounds (free spins) it’s rather spartan but quite a lucrative one to boot. Pearl of the Orient taps into its players patriotic spirits through its Asian theme, payouts and symbols. It’s a great game all round! Does the game have any special features? 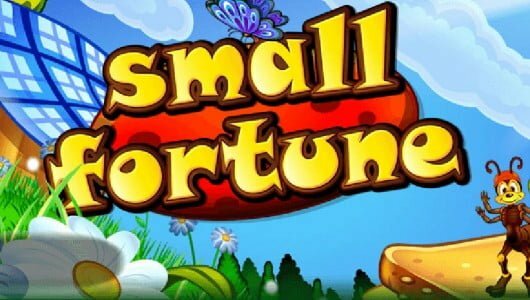 There’s only one in-play bonus round namely a free spins feature that is played when 3, 4 or 5 green/yellow Yin and Yang scatters appear, you can receive as much as 12 free spins. Scatters pays are given too with pays that range from 2x, 20x to 50x (5 scatters). Can I expect decent payouts during the main game? Yes we’re quite impressed with the wins we received during the main game (see screenshot). When 2 or more expanding wilds (beautiful Asian woman) appear with high value symbols the cash prize can be spectacular. How big must my bankroll be? Because the volatility is quite high we suggest you play Pearl of the Orient slots with a budget of at least £300 at £5 per spin to maximize your wins. 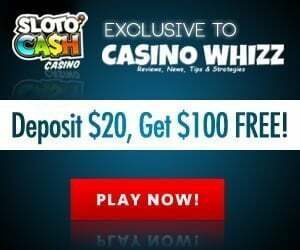 You have 60 spins to trigger the free spins which we think is possible. It’s a case of in for a few pennies and lots of pounds, any how you get the idea. We still advise discretion though.